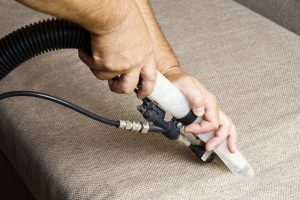 When it comes to professional upholstery cleaning consider Denver Cleaning Choice. The delicate and thorough action of our cleaning system produces beautiful results that cannot be equaled or duplicated by other processes. For starters, we use the only dry foam extraction cleaning method available. Our non-allergenic dry foam is thorough, gentle, safe and quick drying. That means no liquids and no odors. Your furniture will look bright and clean, smelling fresh and ready for use in a surprisingly short time. What’s more, we only use biodegradable detergents that leave no sticky or oily residues to attract and hold soil. Additionally, our upholstery cleaning method is safe to use on most of the fabrics. Office Cleaning. Big project. We’ll do it fast! A lot of office buildings face the challenge of fabric-covered walls and cubicles. Denver Cleaning Choice has the solution. With our specialized equipment fabric-covered office partitions are efficiently cleaned. Our system is strong enough to clean heavily-soiled partitions, yet it’s safe enough to prevent fabric separations damage from over wetting. Plus, it’s fast drying so you can get back to work right away.